Shanghai-based bitcoin exchange BTCC has announced that it will halt bitcoin and other cryptocurrency withdrawals for one month. The news, posted to its website today, comes one week after Huobi and OKCoin, two of the country’s ‘Big Three’ exchanges alongside BTCC, revealed they would prohibit cryptocurrency withdrawals as part of an effort to combat money laundering at the request of China’s central bank. At the time, BTCC said it would undertake a similar upgrade, but that it would only take 72 hours to complete. According to the update, however, BTCC plans to continue the audit of its system, with the goal of ending the process on 15th March. The announcement comes on the heels of a decline in volume across China-based exchanges, and an apparent exodus of domestic traders to alternative platforms. Data from Bitcoinity shows the sharp reduction in volume over the last 30 days, spurred by exchange policy changes requested by the People’s Bank of China (PBoC) beginning in January. Likewise, data from Bitcoin Charts indicates volume at BTCC has declined in recent weeks. 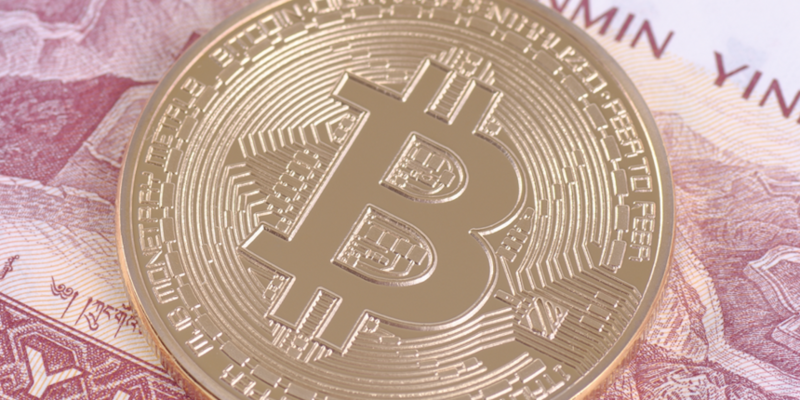 At the time of reporting, the market seemed apathetic about the news, with bitcoin prices trending higher for the day across US dollar and Chinese yuan markets. CNY prices were up 8%, though as reported by CoinDesk, local traders are no longer confident that domestic exchange prices reflect the true cost of the asset. Overall, most are suggesting that announcements will continue as China grapples with its rule-making for bitcoin more broadly. Zennon Kapron, author of “Chomping at the Bitcoin: The Past, Present and Future of Bitcoin in China”, suggested the domestic industry will likely be in for a long road of changes. He suggested that this could be one possible long-term solution, and potentially, a way to illustrate that bitcoin is not as widely used for capital flight as feared.